This sensual 199 luscious Red is a real vintage dark red colour for a extra classy look. 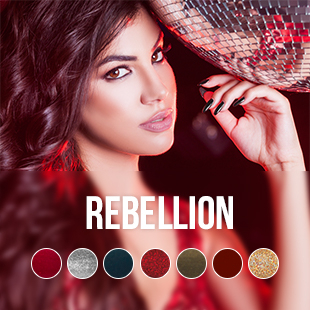 The Reminiscence collection contains 5 daring, but classy colours and are absolute must have for this fall! 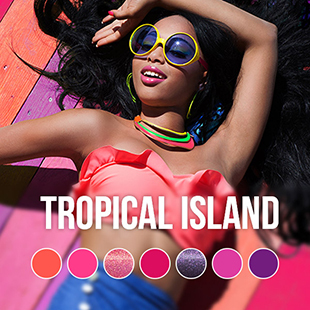 Make your statement with these fashionable and daring colours! To have a long lasting and durable gel manicure you now do not need to leave the house! Applying the gel polish is done the same as regular polishThe only difference is that you need to cure it with a lamp. Try our compact LED lamp or the professional UV lamp to enjoy a manicure that will last 5 weeks on your toes and 14 days on your nails. Pink Gellac has the highest quality. The gel substance ensures you of having beautiful polished nails for at least 14 days, it is from long lasting and durable quality. The colourdots on top of the polish makes finding a specific colour much easier! Sensual, Vintage and Classic colour. The 199 Luscious Red is a deep red colour and fits perfectly with the dark nights. 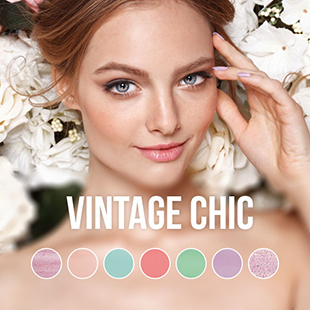 The gel polish colour has a warm undertone and makes for a vintage and dynamic colour. Pair this colour with a red dress and black high heels and you are ready for a party!